A talking, drawing, making + thinking workshop with residents, businesses, urban designers, and anyone keen on a good future for the Old Kent Road. 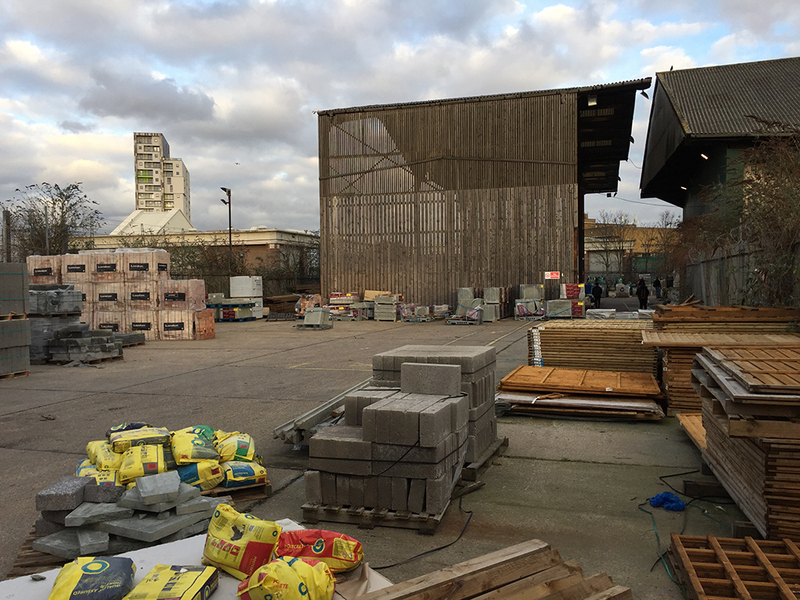 Between Peckham Park Road and Burgess Park developers are proposing big scale change, but have forgotten to ask many people for their ideas. This workshop is the start of a discussion that can influence the future. It’s an experiment in collaboration. We don’t know where it will go! Please come and join in, for as much or as little time as you can. Urban identities are never straightforward; they’re a complex product of competing interests and ever-changing conditions. 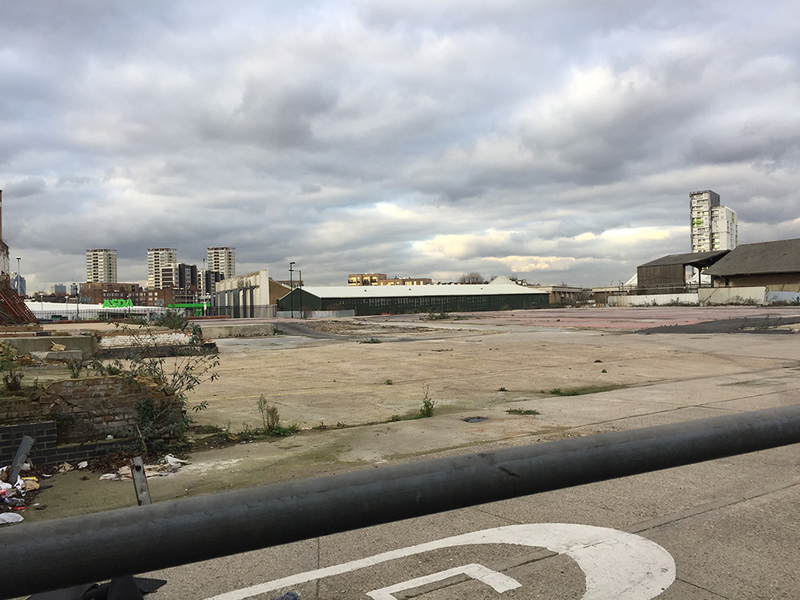 Around south London’s Old Kent Road, where 20,000 new homes are demanded by the draft Area Action Plan and the Bakerloo Line extension is proposed, this is particularly dramatic. During this two-day workshop urban design professionals will work with local residents, businesses and members of the public to initiate creative responses to the area’s key contested development sites. How industrial and commercial use can be combined with housing and communal spaces will form a central question. We will offer some exciting alternatives for the area that both relate to its current identity, and that seek to inspire future planning. 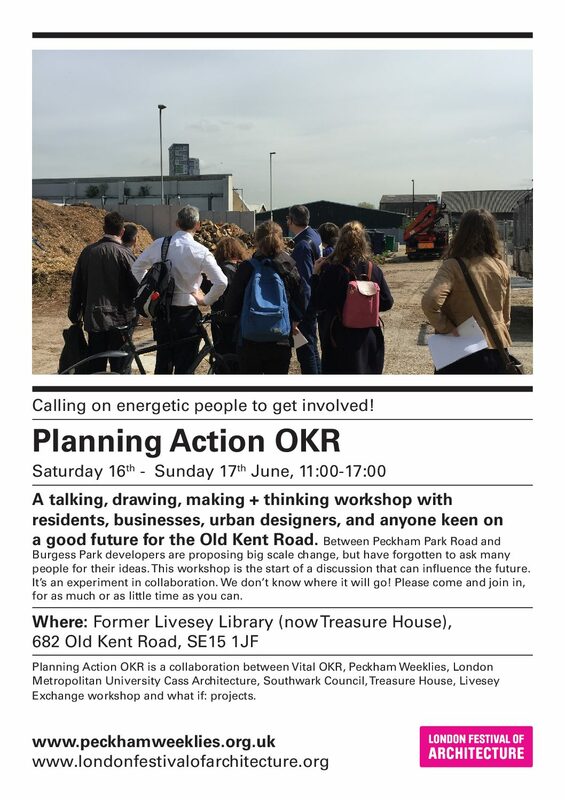 This event is a collaboration between architecture practice what if: projects, London Metropolitan University’s Cass Cities programme and Cass Architecture Studio 8, local business association Vital OKR, community group Peckham Weeklies, Livesey Exchange workshop, Treasure House and Southwark Council. Resulting propositions will be presented as part of the Cass Summer Show and published as a pamphlet. Planning Action OKR is part of the London Festival of Architecture 2018. If you want to find out what happened during the workshop come at 4pm on Sunday. David Fell of Just Space will summarise the outcomes followed by a conversation about what we will do next.